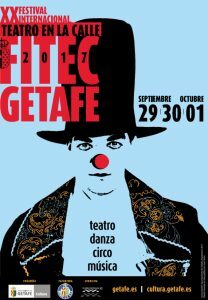 Is far and 1996, year in which we launch into the adventure of a Festival of International Street Theater we call FITEC, in the Madrid town of Getafe. 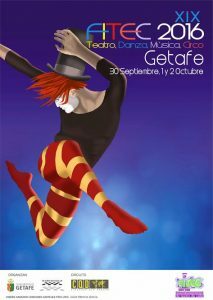 At this time, the Festival and its organizers have had a unique space of expression, not only by the physical space and recognized art form, but at the same time as a platform for communication and cultural exchange with other realities and cultural expressions of both inside and outside our borders. 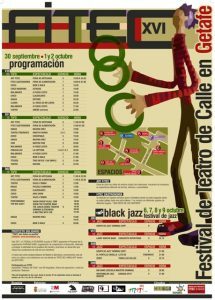 In recent years, we have seen the proliferation of street festivals in Spain, virtually all public management; and we have also seen how most of them have disappeared overwhelmed by the ups and downs of political and partisan interests, with little or no conscious cultural fact. Our formula combines development fair where a private company-customer relations are established with the sample in a Public Festival offered a new cultural space for citizens. 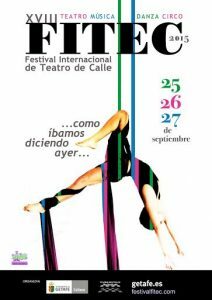 Born as a Street Theatre Festival, in the successive editions of FITEC we have opened the range of artistic proposals to Circus, Dance and Music. 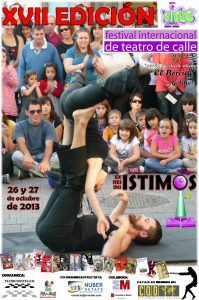 In recent editions we have empowering dance companies, as this is the most fragile cultural sector. This way they have made specific proposals in urban areas, adapting their work, and even creating specific to particular areas pieces Proposals have been original, at the same time different in choreographic techniques, which are referenced hard architectural keys City … From a corner between trees and a wall to the facade of the town hall converted into horizontal track ball, or the roof of City Hall is an indispensable event where dance and music, unique space, view of the city merge. Highlight important companies in the choreographic panorama, it’s been leaving the sample of his work getting reach an increasingly demanding public and culturally formed, as they have come to the rendezvous point and have grown as spectators.